Teach Laugh Plan: Guest Blog from Denise at Sunny Days! Hey there Fabulous Froggie Followers! Denise here from Sunny Days. 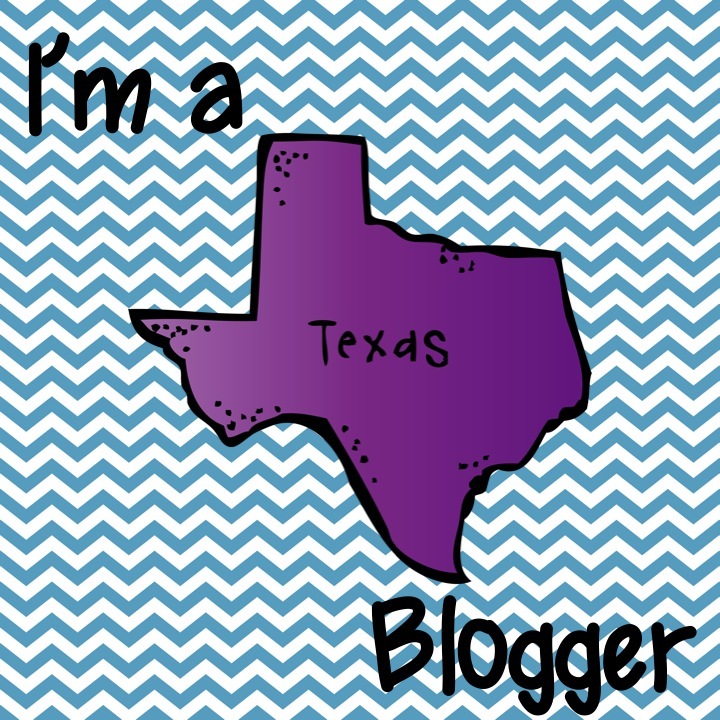 Thanks so much to my blog buddy Lorraine for allowing me to guest post today. I've been working closely with Spelling City over the last few months to explore the wealth of resources available to teachers and students. I've been so impressed with everything I've found and I'm thrilled to be able to share some with you today! 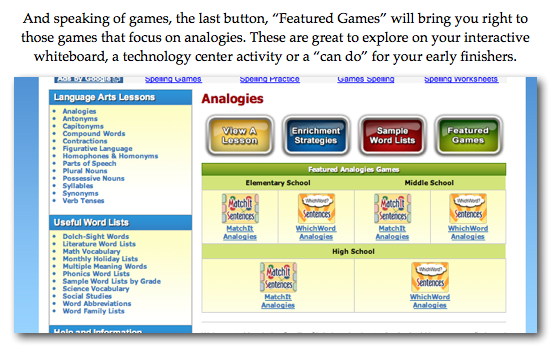 Let's focus on raising student's critical thinking and vocabulary by exploring analogies. 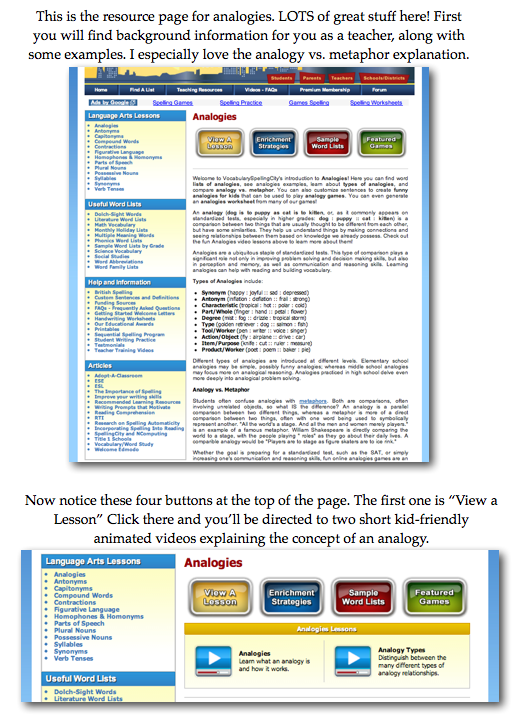 Here's a little picture tutorial that will guide you through the free content available to you! Be sure to check out all of the other great content waiting for you at Spelling City and if you ever have any questions, I'd be happy to help the best I can. Enjoy, my friends! Thank you to my friend Denise for this great guest blog post. 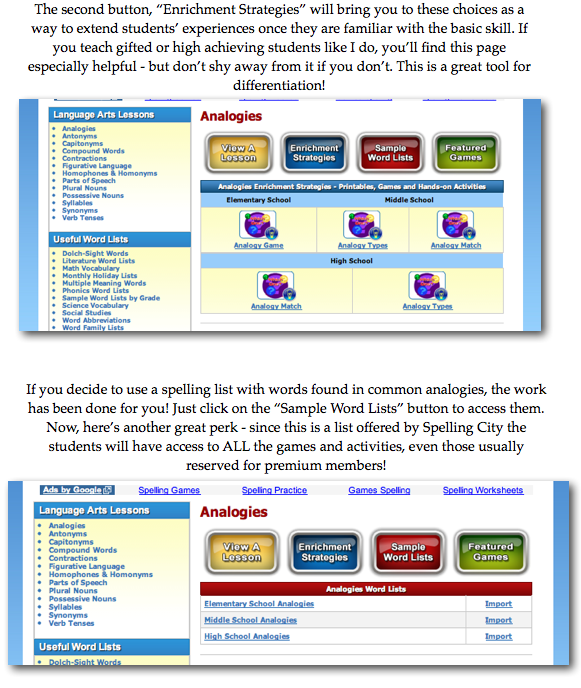 I am going to give my 2 cents and say I love Spelling City and have used the premium version this entire past year. 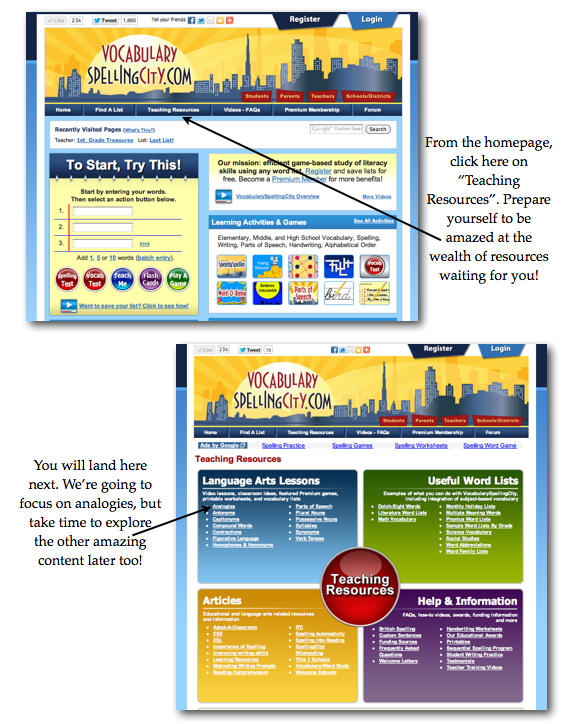 Students loved it, parents loved it, and most of all students really benefited from using it. I've heard about Spelling City, but have never really utilized it. Thanks for the great pictures to go along with the post. I can't wait to try it out! I have used Spelling City a little, but I want to use it more. Thanks for showing us this!